Erin and Evan live in Berlin, VT with two cats and two dogs. 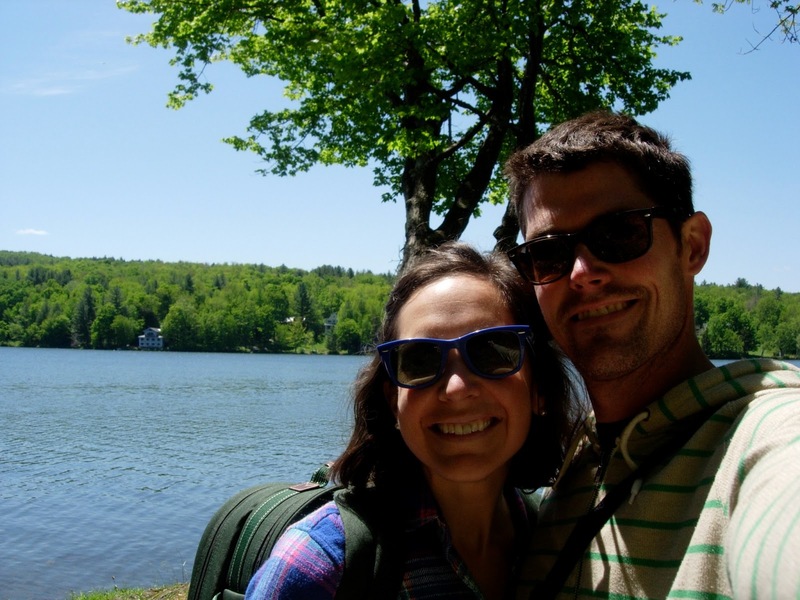 Erin works and teaches at the Community College of Vermont and likes to spend her weekends gardening, going on walks, and checking out Vermont State Parks! Evan works as a prosecutor in the Criminal Division of the Vermont Attorney General's Office. In his spare time, he likes to work around the house, go swimming, cook, and check out new movies. This summer, they will be touring our Vermont State Parks and making delectable picnics with local food. So check out this ongoing series for tips on where to get great food and places to enjoy it! This summer we’ll be checking out some of the great picnic spots in the Vermont State Parks: A true Vermont culinary adventure. For our inaugural outing, we visited Silver Lake State Park in Barnard, VT on Memorial Day (opening) weekend. 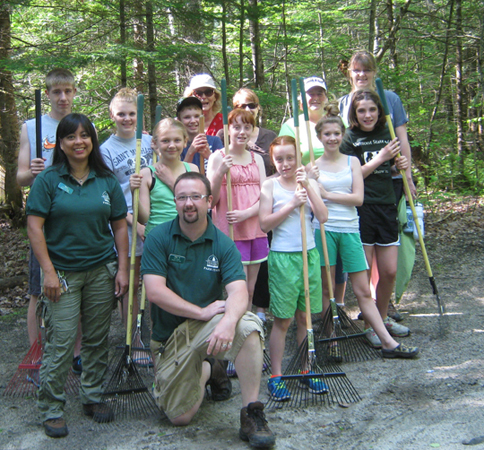 On Saturday June 1st, members of the Orleans County Border Livestock Plus 4-H Club made their way to Brighton State Park, for a morning filled with volunteering, hiking, raking, litter patrol and history. Beginning at the interpretive trail, 8 youths and 4 adults made their way up and around the trail loops grooming them, while at the same time learning about the natural and cultural history of the park and its lands. The park’s interpretive trail booklet helped in educating them about the trail’s biodiversity; however, Rangers Eric and Vela spoke to them about some of the interesting aspects of the park. A Pile of Button Bay State Park Buttons are on Their Way Home After 51 Years! In 1962 the International Girl Scout Roundup took place in what is now Button Bay State Park in Vergennes. That event celebrated the 50th anniversary of the Girl Scout organization. Over 10,000 girl scouts from around the world camped together on the beautiful point overlooking Lake Champlain.